"You must become comfortable with being uncomfortable, that is when you become unstoppable." 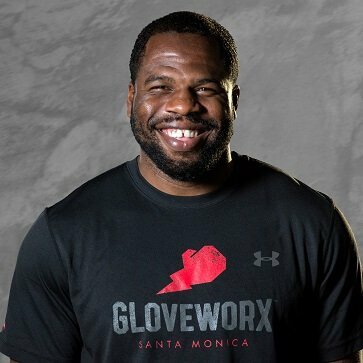 Inspired by his time as a US Nationals heavyweight competitor and captain of the Temple University football team, Leyon developed the Gloveworx program as a way to teach boxing and athletic performance skills to anyone. This powerful, stress-relieving workout helps people overcome their personal battles and obstacles. After proving his talent as a boxer and a Gloveworx coach, Leyon showcased his elite skills and encouraging personality as a trainer on NBC’s Strong.